Order from your Local Friendly Game Store! Node is about a gentleman’s bet. Two hackers have decided to test their mettle, and decided to engage in one of their favourite past-times for the competition: they will infiltrate and compromise a corporation’s servers and data havens. They will stop at nothing, break out every trick, loophole, backdoor, hack, and clever scheme to gain access to the corporation’s most personal and protected information. 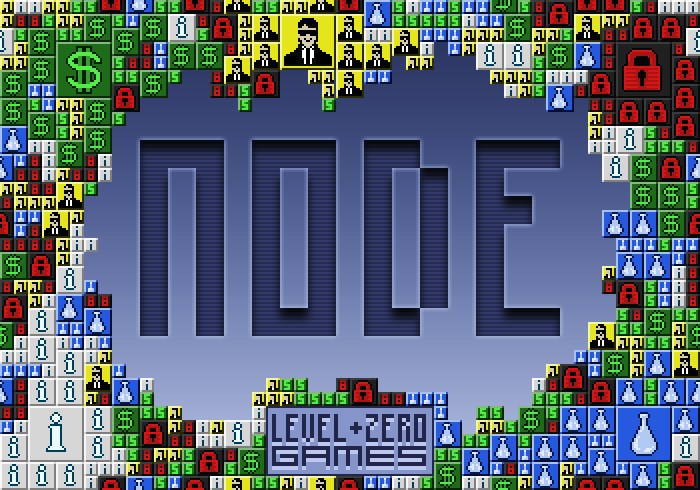 Node is a competitive two-player card game in which players expand and capture 5 different types of nodes they compete to grow and capture nodes from each other, trying to outflank each other without losing their lead, and lock down on nodes they’ve captured. If they can capture all 5 nodes or hold the most nodes when the deck runs out, they win. For a great summary, check out the Dice Tower’s Review! 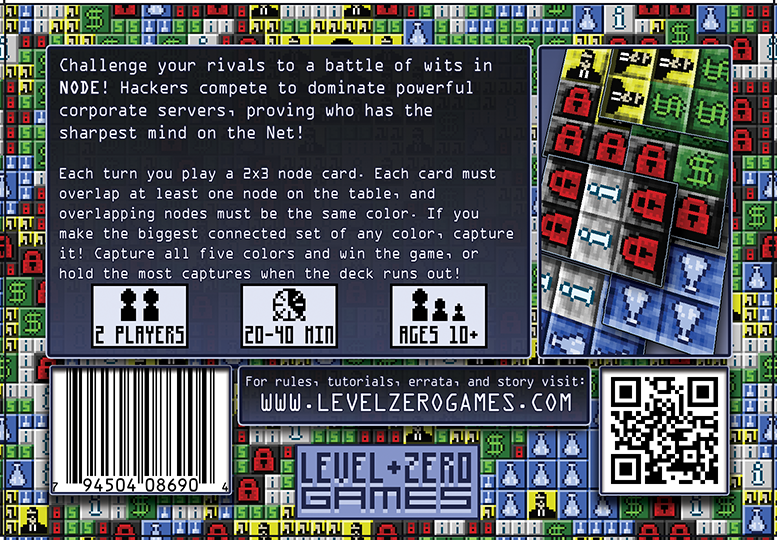 Variant games for 2,3, or 4 players, “levels”, and drinking games!